nEUROn, the technology demonstrator for a European UCAV (Unmanned Combat Aerial Vehicle) was officially presented by Charles Edelstenne, Chairman and Chief Executive Officer of Dassault Aviation, to the representatives of the six countries collaborating in the project (France, Italy, Sweden, Spain, Switzerland and Greece). The representatives of the partner countries were able to see the nEUROn for the first time. 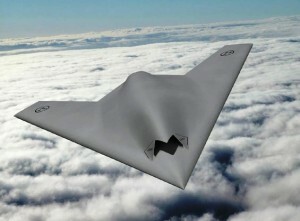 This represents a triple “First” for the aerospace industries of the countries participating in the project: the first stealth combat aircraft, the first UCAV developed through cooperation between several European countries and the first combat aircraft entirely designed and developed on a virtual platform. Its roll-out comes after five years of design, development, assembly and static testing. Very soon the first engine tests will be carried out, with plans for a maiden flight in mid 2012. Subsequently a complete flight test programme will be effected over a period of two years in France, Sweden and Italy. These tests will be for quality of flight, level of invisibility to radar (stealth), air to ground missiles fired from an internal bay, integration in a C4i environment (command, communication control, computer and intelligence) and tests of an unmanned platform in the airspace. Giuseppe Giordo, Chief Executive Officer of Alenia Aermacchi and Responsible for the Aeronautics sector of Finmeccanica, had the following comments: “For years we have been energetically engaged in the development of highly innovative products with means of development, manufacture and use that are entirely new in comparison with the traditional aeronautical context. Great attention has been given to the activities of technological development and simulation of unmanned aerial vehicles, capable of fulfilling complex missions autonomously, such as the Alenia Aermacchi’s Sky-Y. Extremely sophisticated machines whose use and application is set to expand enormously over the coming decades. For Alenia Aermacchi the Roll-Out of the nEUROn represents a very important goal because right from the start we have poured in to this project multiple resources: human, financial and technical. Now an important and decisive step has been taken within the ambitious nEUROn project of designing, constructing and testing the first European UCAV (Unmanned Combat Aerial Vehicle) simulator with stealth characteristics”. The programme, launched by the French Ministry of Defence and supported by Italy, Sweden, Spain, Greece and Switzerland represents a very important effort to develop new technologies and create the foundations of future programmes for unmanned aerial vehicles for military use. The objective is to create a full-scale technology demonstrator for an UCAV (Unmanned Combat Aerial Vehicle). From the industrial point of view the nEUROn is a project led by Dassault Aviation with Alenia Aermacchi as its principal industrial partner, having a share of 22% in the project and responsibility for systems and subsystems. Alenia Aermacchi also, as national team leader, leads a group of Italian companies which includes SELEX Galileo (a Finmeccanica company). Alenia Aermacchi is specifically responsible for the design and manufacture of the electricity generation and distribution system; the air data system with low observability, and, most importantly, the Smart Integrated Weapon Bay (SIWB), the integrated weapons system components with full subsystem management autonomy.